Are you about to buy or sell a Trailer to somebody else? Download this Bill of Sale template for a Trailer and get your polished Bill in minutes! Are you about to buy a Trailer from someone, or sell a Trailer to somebody else? 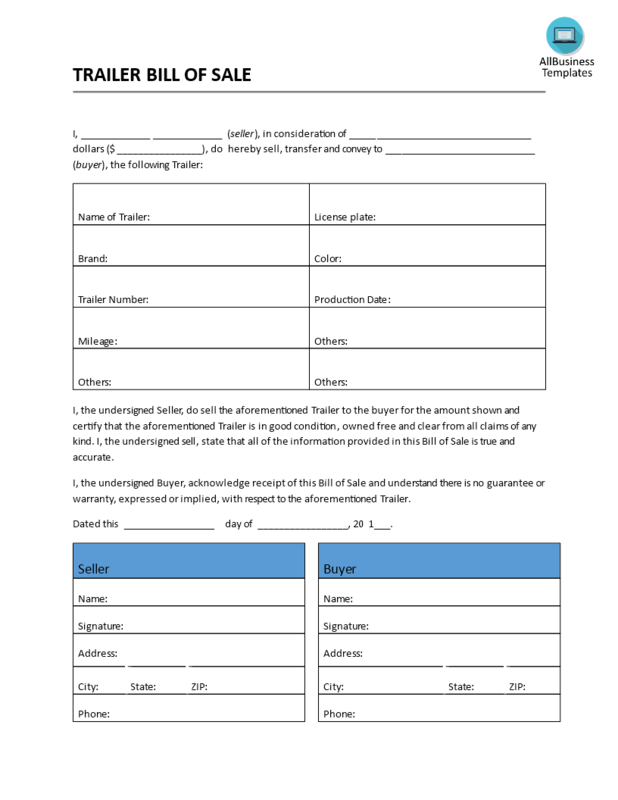 Download this Bill of Sale template for a Trailer and get your Bill in minutes! If you need a Trailer Bill of Sale, we recommend you to use this template. It will provide you with all information needed to make up the Bill of Sale, and it’s also easy to add information. After downloading and filling in the blanks, you can customize every detail and appearance of your Bill of Sale for a Trailer and finish in minutes. Print out your file now!